​Soccer took a major step down in the totem pole of sports in the United States on Tuesday night, as the National Team failed to complete their ONE AND ONLY JOB--​qualifying for the 2018 World Cup in Russia. After the game, analysts and former United States soccer players had the same revisionist history-level of advice: we should have seen this coming. But is that realistic? With the amount of money the U.S. has poured into the sport of soccer, from the local to the national level, why is it reasonable for a group of the supposed best professionals we have to offer to miss a competition involving the world's best? No, it's not that simple. Everyone involved in a leadership position in U.S. soccer deserves to be fired. That much is easy to see. There are two above-average teams, at least on the World Stage, in CONCACAF (Mexico and Costa Rica). Both qualified with ease despite losing their final games against the teams that eventually overtook the United State in the Hex. The sad fact of the most recent U.S. soccer campaign is that they didn't even have to play that well to reach the third spot--and eventual automatic qualification--in the Hex. All they had to do was tie lowly Trinidad & Tobago. There are roughly 1.3 million people in Trinidad & Tobago. For reference, that's roughly the size of San Diego. 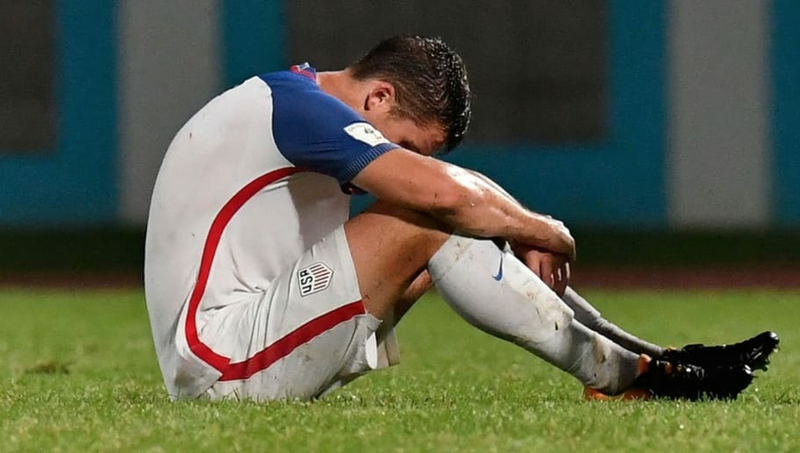 Despite a fantastic effort from the Soccer Warriors, there's no explanation that will give the U.S. National Team fans solace from the lack of effort and overall complacency this team showed not only through this 90 minutes, but the entire qualifying campaign. It's sad, but it's a level of play our country has grown accustomed to for far too long. If this is to truly be a turning point for the United States, and help build towards a future surrounding the single-best all-around player the country has ever seen in Christian Pulisic, we need to take a deep look into how we got here, and where the future of the sport lies. It is not in MLS. It is not necessarily in one specific country. We must embrace the game at every level, rather than in-fighting within the federation, and trying to accept one strategy over the other. To hope for another Pulisic may be like wishing for fools' gold, but there needs to be a higher expectation moving forward. To truly see this as a turning point in United States soccer, a new generation of stars must be embraced, with the likes of Clint Dempsey, Tim Howard, and most of the defensive corps given their much-earned send offs. 2022 feels light years away. But it could serve as a true turning point for an organization that has lied about that fact for years. And the solution won't be found by Jurgen Klinsmann, Bruce Arena, or any coach currently on our conscience. It must be solved from the top down. If not, we'll be reliving this same fate in 2022, but with little fanfare.